More than 30,000 people are killed in car accidents every year in the United States. Typical causes range from speeding to drunk driving and vehicle malfunction. 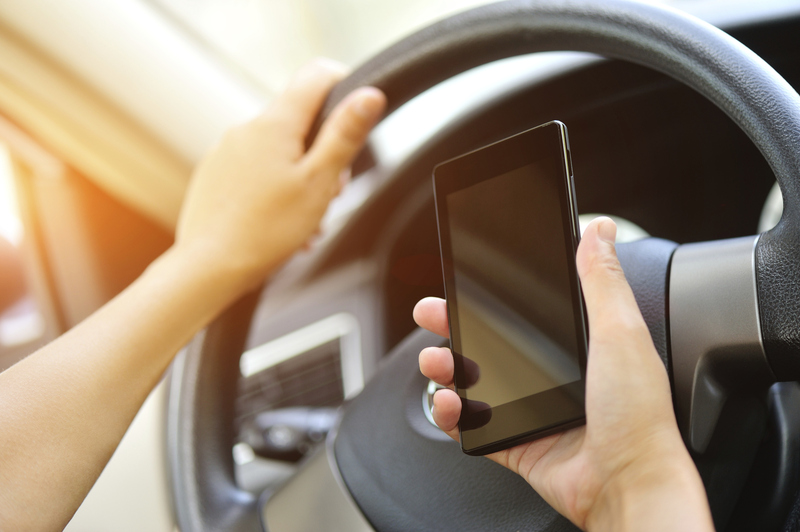 But, another cause of car accidents has steadily risen, not so coincidentally right along with the popularity of social media – distracted driving. Sites such as Facebook and Twitter are the social center of many people’s lives, even when they’re on the go. But, when someone is behind the wheel, checking in online can be a death sentence. In 2012, there were 3,328 people killed in car accidents in the United States as a result of distracted driving, and more than 1,100 people are injured every day. Of course, social media isn’t to blame for all of the deaths, because distracted driving covers a number of behaviors, including eating, changing the radio, and talking on the phone. However, the desire to remain constantly connected to family and friends causes many people to develop a habit of impulsively checking their social media accounts for updates and messages, even while they are driving. While no exact figure can be attributed to the number of accidents, injuries and deaths caused by driver’s interacting on social media, the number of drivers who are actively using their cell phones or other electronic devices at any given time has remained fairly steady (at about 660,000) since 2010. That is an indication that social media must play a part in at least some of the distracted driving accidents. The reason why it is so dangerous to access social media while driving is because the act involves all three primary types of distraction: visual (eyes off the road), manual (hands off the wheel), and cognitive (mind off driving). During that time, the driver’s reaction time is impaired to the point that it’s as if he were driving while intoxicated. When a driver travelling 55 mph looks down at his electronic device for just five seconds, it is the equivalent of driving blindfold for the length of a football field. The habit of accessing social media while driving is a deadly one, to be sure. State governments have taken notice of it, too. Currently, 14 states, along with Washington D.C., prohibit any use of a hand held cell phone while driving, and 38 states and Washington D.C. prohibit all forms of cell phone use by new drivers. Penalties range from state to state, but the goal is to avoid engaging in the dangerous behavior in the first place. Clearly, the responsibility to affect change is in the hands of all drivers who must make a personal commitment not to engage in such irresponsible behavior. If you are one of the millions of people who enjoy participating in and connecting through social media sites, and you find yourself falling into the pattern of checking in online when you drive, put your phone away. When you’re on the road, secure your cell phone in the glove compartment, the back seat, or even the trunk of your car, and don’t use it for any reason other than an emergency. Updating your social status shouldn’t be a matter of life and death.